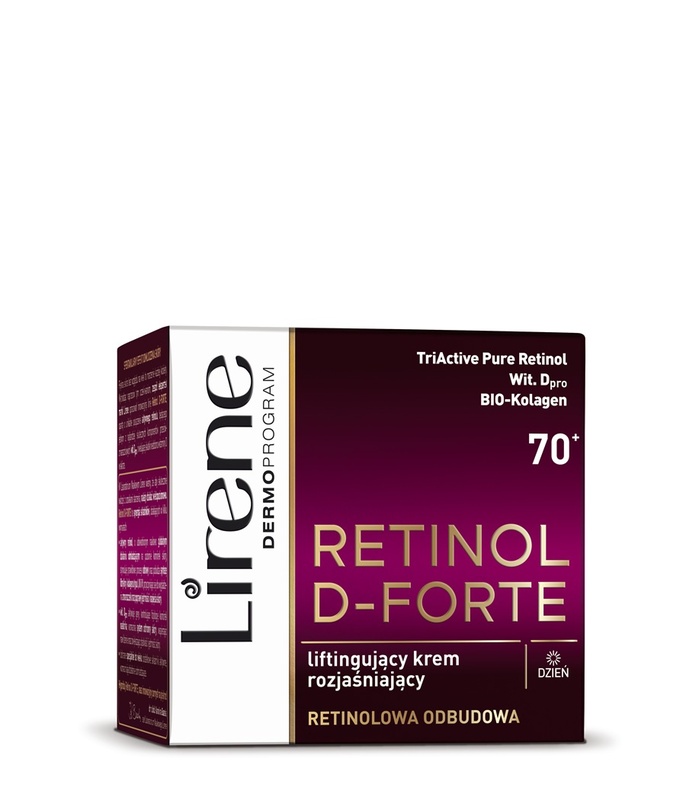 Women experts from the Lirene Science Laboratory have developed a special complex combining pure retinol with triple action, BIO-collagen and vitamin Dpro for multi-level skin rejuvenation guaranteeing excellent results. Day cream Retinol D-Forte is specially designed for women aged 70+ to protect their skin from aging. The cream shows excellent effects: immediate lifting and brightening, smoothing and moisturizing, cellular bio-renewal. As a result, the skin looks significantly younger.